I am looking for some information on Jawa blasters. Did the original blasters come out in 2 variations - with bump and without bump? Yes there is bump and no bump versions. 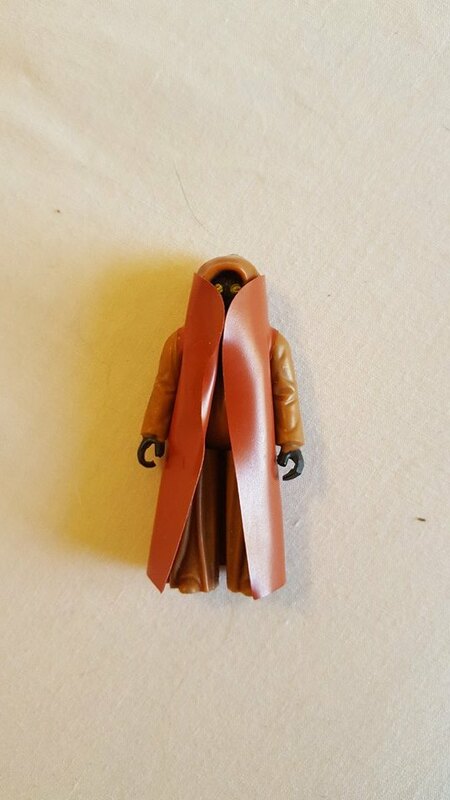 Most of the time, the no bump is associated with vinyl capes, however I don't think it was exclusive to that figure. I believe afa will grade vinyl capes with either version, but it has been a while since I checked. didnt want to send over for grading with the wrong blaster. So it is the toltoys jawa? Darker cape than a kenner. Yes it has the darker cape. I got it for christmas in the late 70's when I was a kid along with around 50 others. Aussie VC Jawa is early 80s? Are you sure it is toltoys? Doesn't look dark enough to me. I assume it is the toltoys version considering it was purchased over here. the lighting doesnt help in the photo i think. Is there any other way of telling besides the darker cape colour? 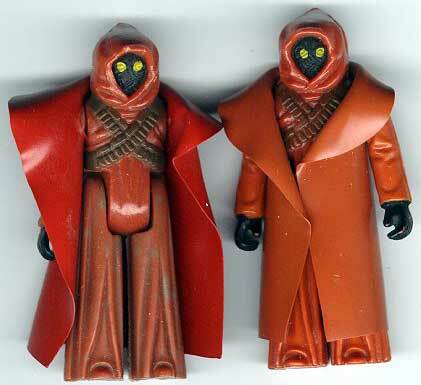 Once off the cardback, there is no difference in toltoys and any other jawa with the same coo. Mold spots and green limbs are transforming and not an indication of toltoys just in case you run across something saying all toltoys have green spotted limbs. Again once removed from the card they are not different figures, only different accessory. The cape is the only thing different. Your recollection of obtaining it early on is odd as toltoys jawas were all on esb cardbacks so early 80s not 70s. The cape in your picture sure doesnt look as dark as a toltoys, so if your timeline is correct is it possible someone went overseas for it or it was shipped to your family from someone abroad? My timeline could possibly be off, it certainly was a while ago. could have been early 80's. My grandmother bought it for me so definitely no chance of someone going abroad to get it.